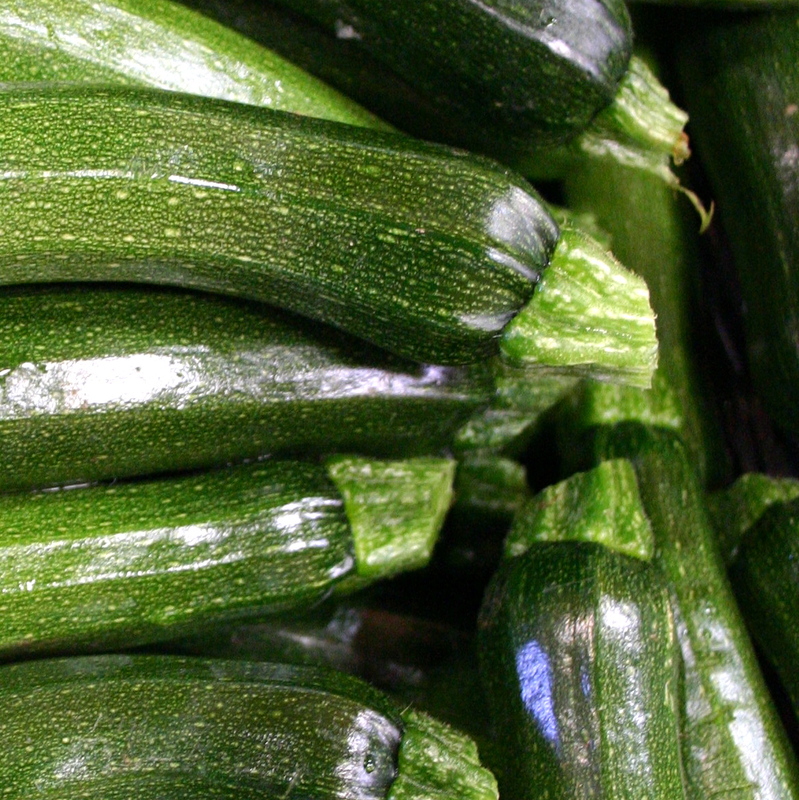 Fresh zucchini from Rising River Farm. This year, we are experiencing a shortage of garden zucchini. I was warned about planting too many seedlings when I first started to think about gardening. 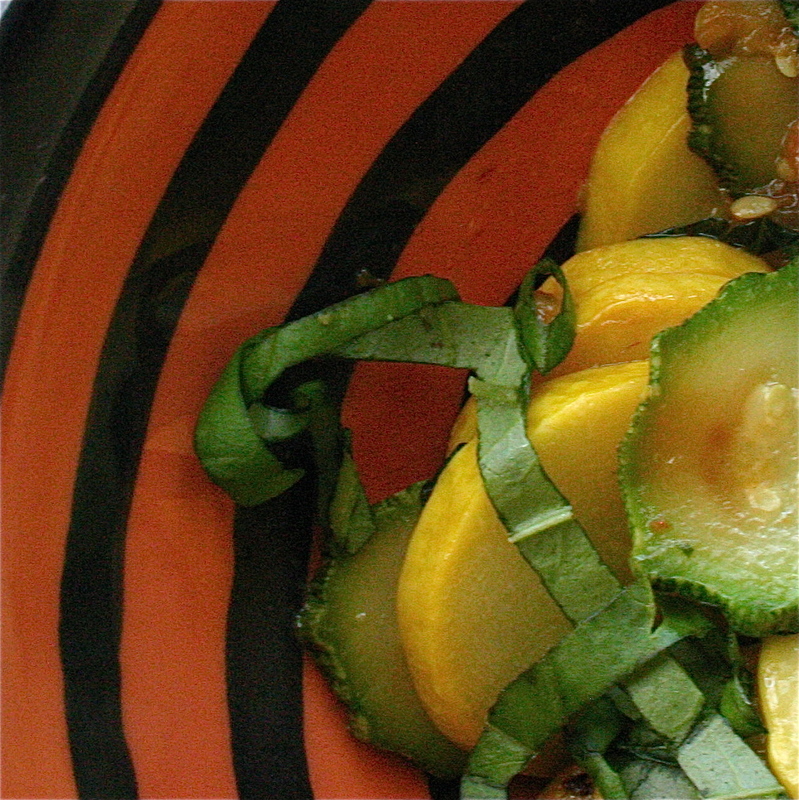 Green-thumbed folks told me I would have barrels and barrels of green- and yellow-skinned summer squashes. Last year there was an abundance, but it was so exciting for me that I did lots of things with them. I even made stuffed squash when they grew as big as 15 inches. I miss it this year…the cool summer has produced just enough for a couple of grilled meals. I’m cherishing them! Luckily we have local farmers such as Puddleton Farm growing butterstick squash and others like Calliope Farm and Wobbly Cart who are growing zucchini and the like. My friend Heidi is all about simple, good food. 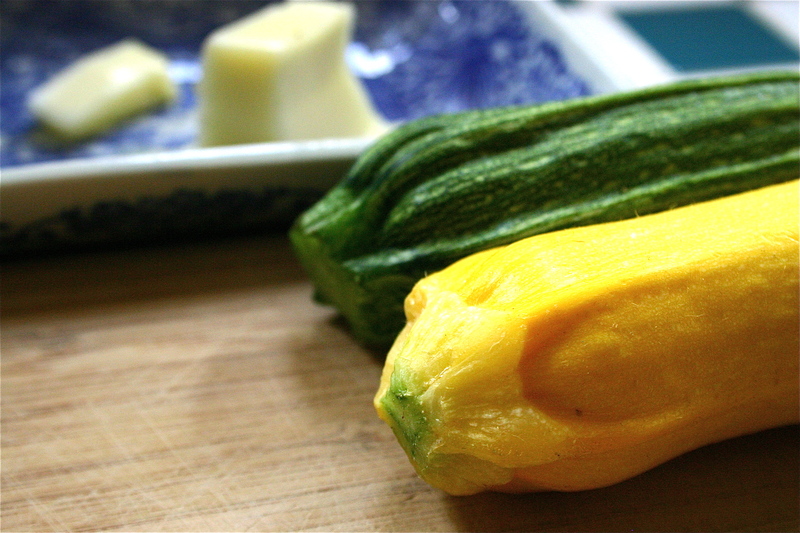 This dish is inspired by how she prepared freshly picked zucchini and crookneck squash one day. 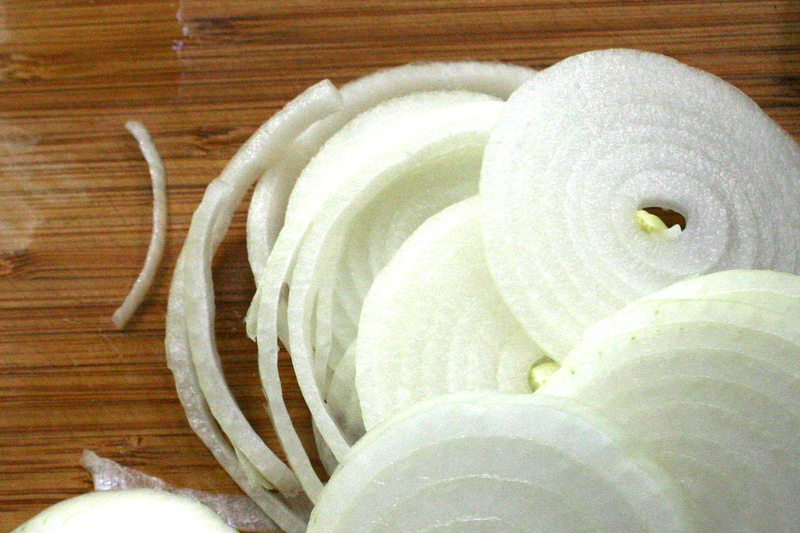 Saute the sliced yellow onion in the butter or coconut oil. 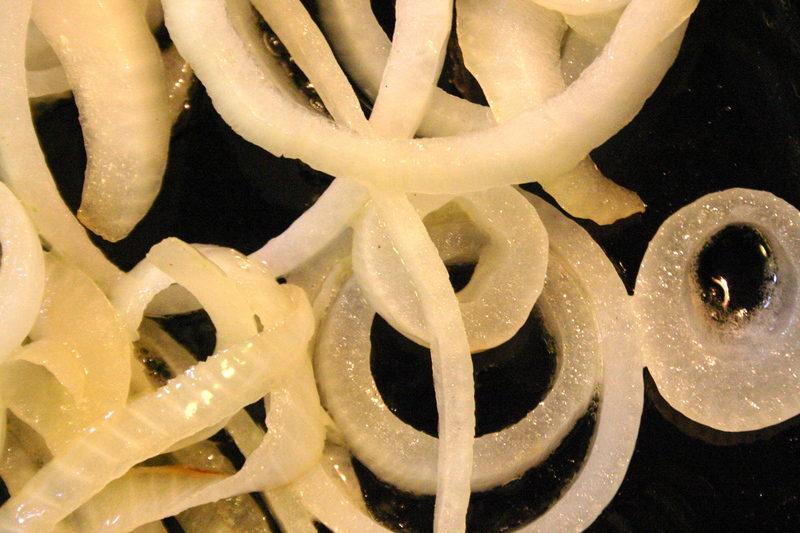 When the onions are starting to turn translucent, add garlic. 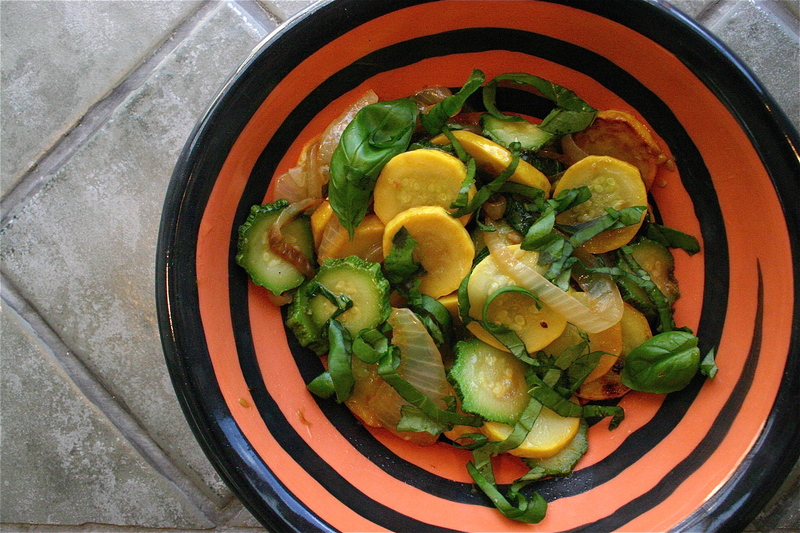 Add sliced summer squashes to the pan. 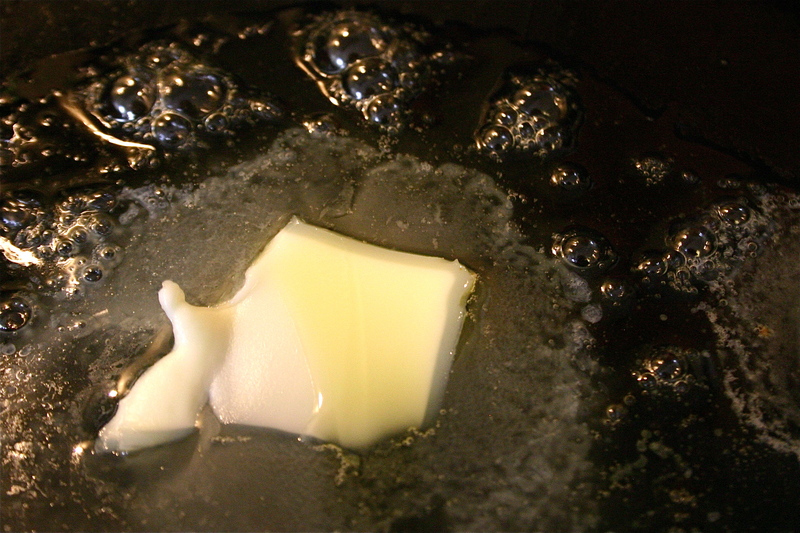 Toss to coat with the oils and add a pinch of salt. 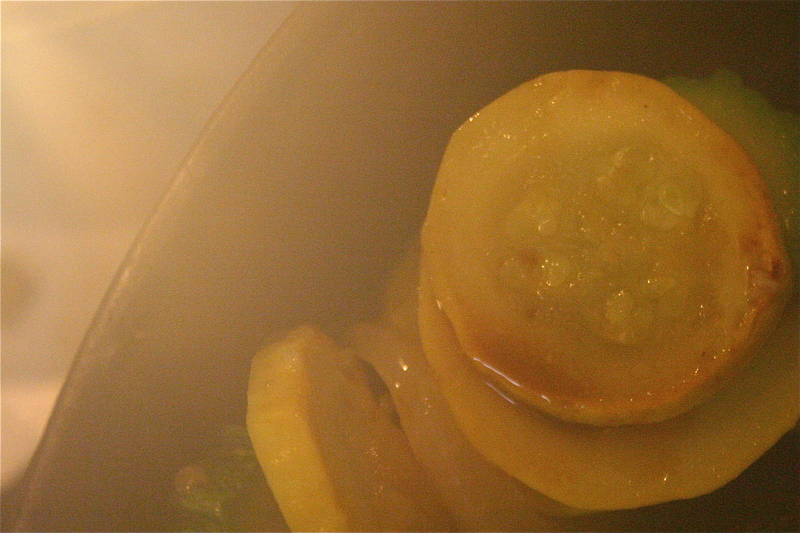 Cover for a few minutes until cooked through but the texture of the squash is still intact. Drizzle with tamari and toss in basil and oregano. Growing up with parents who were raised most of their lives in Japan, grilling wasn’t a very big thing. Perhaps it’s more of a winter cooking method in Japan with the Hibachi inside the house for vegetables, fish, and mochi (sweet rice cake). In my house, I leave the grilling to my partner. I marinate and prep all that is necessary, then it is left into his hands to bring it to the table, ready to eat. It’s easy, delicious and perfect for outdoor get-togethers in the summer. 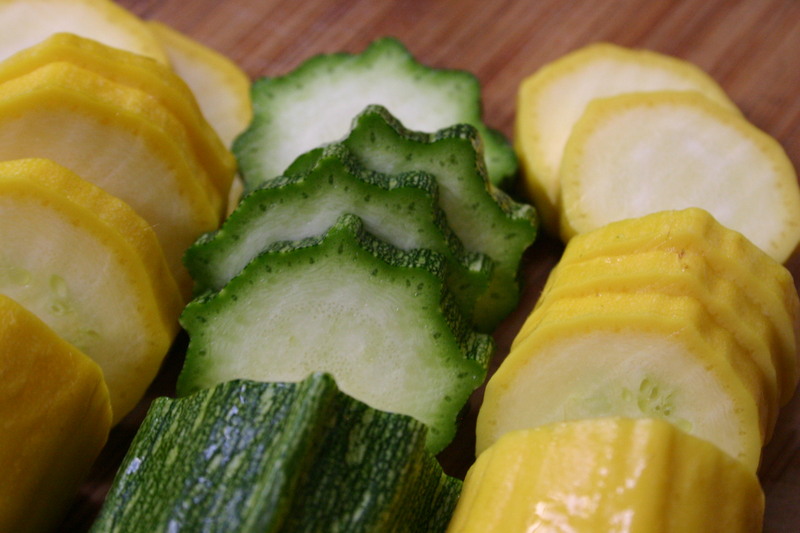 To prep squashes, I like to slice them lengthwise in ¼ – 1/3 inch slices then toss them in extra virgin olive oil, salt, and freshly ground black pepper. 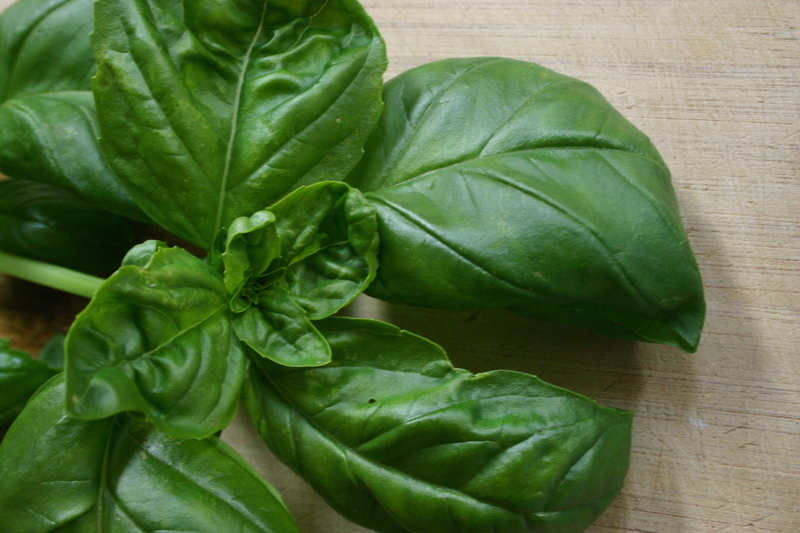 Once it’s grilled, a drizzle of balsamic vinegar and a chiffonade of basil gives it more life. This entry was posted in Herbs, Recipes, Summer Vegetables and tagged Basil, Butter, Garlic, Local, Onion, Oregano, Organic, Salt, Squash. Bookmark the permalink.